Cancer survivors are at higher risk than others for developing cancer again later in life, but new research has found that patients who are cured of Hodgkin lymphoma are 2.4 times more likely of developing a second form of cancer, especially if they have a family history of cancer. Unfortunately, this heightened risk can remain for as many as 30 years after being cured of Hodgkin lymphoma. The study, now published online in the Journal of Clinical Oncology, found that survivors of Hodgkin lymphoma were more likely than the general public to develop a second form of cancer later in life. 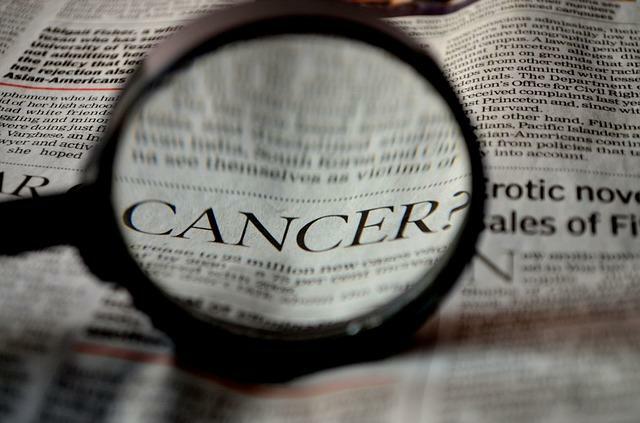 However, this risk is closely tied to also having a family history of cancer. For example, according to the report, former Hodgkin lymphoma patients with a family history of lung cancer are 3.5 times more likely to develop the disease later in life than survivors without a family history of lung cancer, HealthDay reported. The study also found that Hodgkin lymphoma patients with a family history of breast or bowel cancer were two times more likely to develop these cancers post-recovery than the general public. Non-Hodgkin lymphoma, leukemia, and non-melanoma skin cancers were also common second cancers for former Hodgkin lymphoma patients. The reason for this increased risk is not due to how Hodgkin lymphoma affects the body, but rather the treatment used to cure this disease. "The vast majority of patients with Hodgkin lymphoma are cured with a combination of chemotherapy and radiotherapy. Our research has shown that these patients are at substantially increased risk of a second cancer later in life - and particularly if they have a family history of cancer,” said study author Dr Amit Sud, Healthday reported. In addition, age of Hodgkin lymphoma treatment also plays a role in a patient’s individual lifetime cancer risk. Patients treated younger in life are at greater risk for developing a second form of cancer than those who developed the disease later in life. For example, women diagnosed with Hodgkin lymphoma under the age of 35 have a 14 percent risk of developing breast cancer over the next 30 years, but those who were diagnosed with the disease after had only a 3 percent risk of developing breast cancer. According to the American Cancer Society, Hodgkin lymphoma, also known as Hodgkin's disease, is a type of lymphoma, or a cancer that starts in white blood cells. The disease strikes both children and adults, although it is most common in early adulthood during a person’s 20s. This disease is also slightly more common in males than females, and more common in the U.S., Northern Europe, and Canada. The team hope these findings of later cancer risk associated with past Hodgkin lymphoma treatment can help doctors better screen Hodgkin lymphoma survivors in order to catch their second cancers earlier. Early diagnosis is critical for best treatment outcomes.